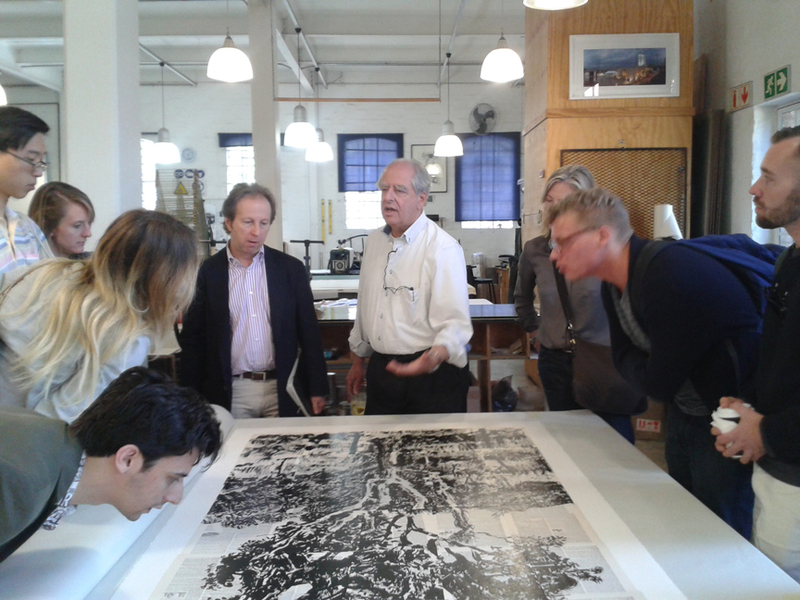 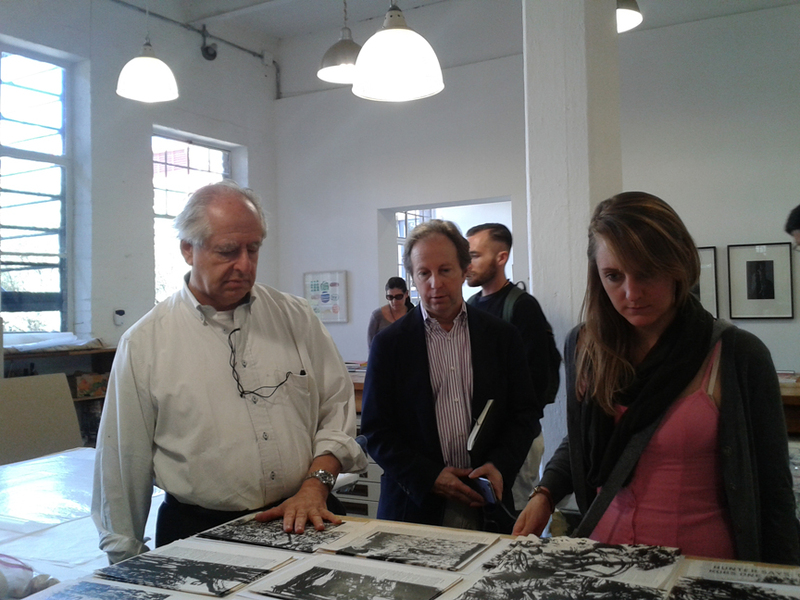 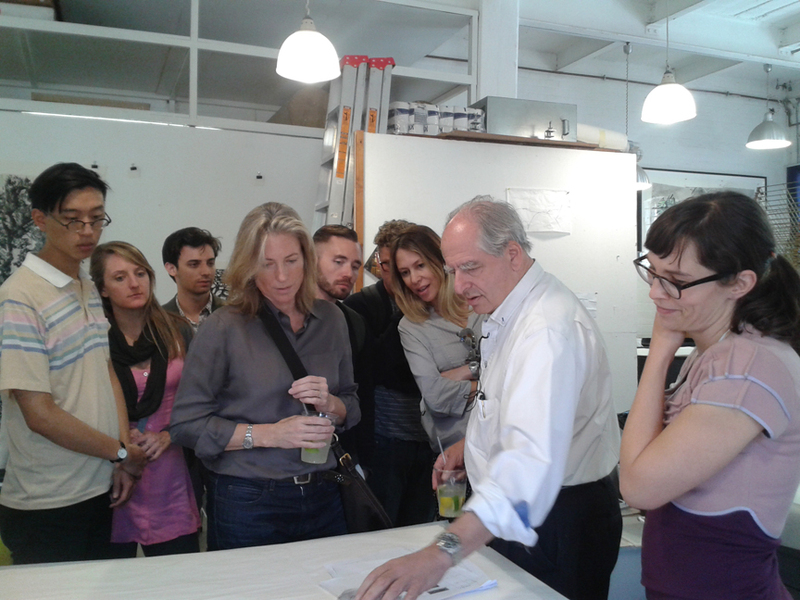 William Kentridge treated Art History students from Harvard University to a walkabout at the David Krut Print Workshop (DKW) at Arts on Main (AOM) on Sunday. 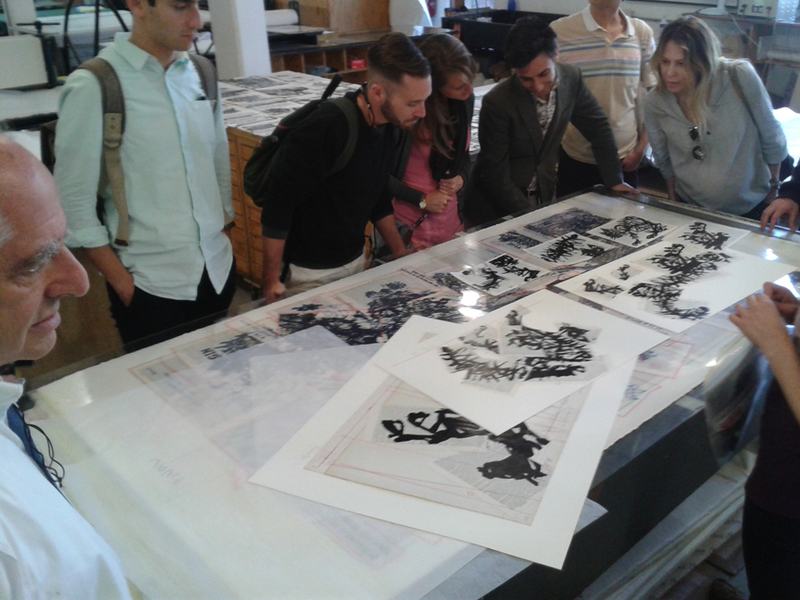 The students are on a visit to Johannesburg to see Kentridge’s latest exhibitions currently on at the Johannesburg Art Gallery, Goodman Gallery and Wits Art Museum. 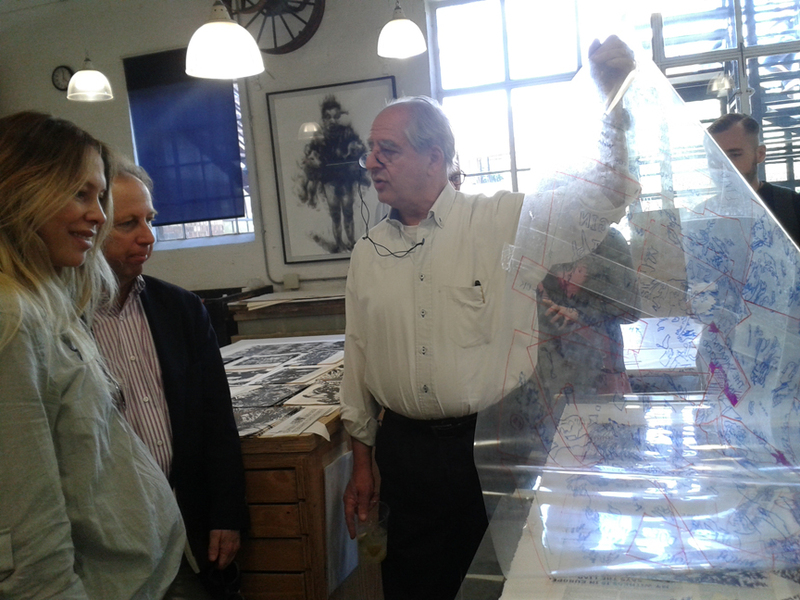 Kentridge took the students on a private walkabout of his latest linoprint work, If You Have No Eye, currently being printed and assembled at DKW, and then moved on to a tour of his studio, also located at AOM. 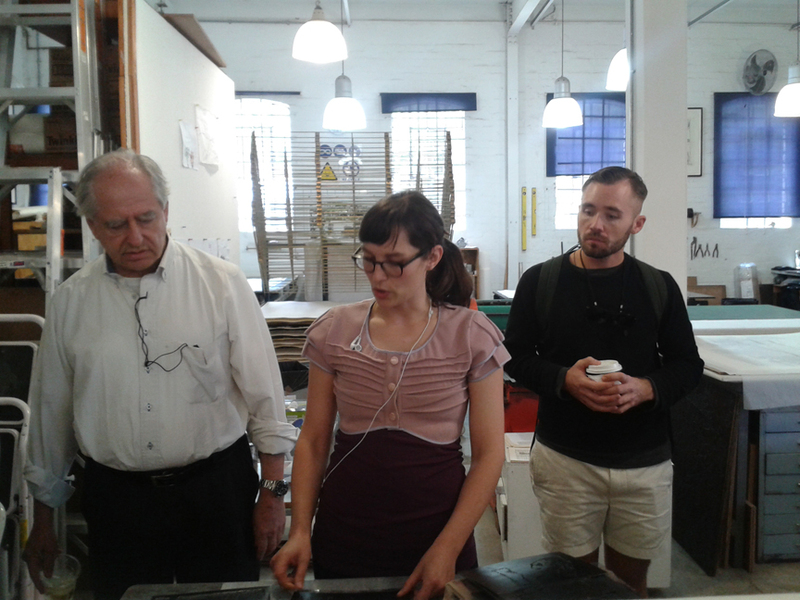 Master printer Jillian Ross was also on hand to talk the students through the technicalities of printing and assembling If You Have No Eye (for more on this process, click here).